One of the most popular genres of online slot machines is without a doubt television show slots, based on hundreds of TV hits including gameshows, classic 80s and 90s series and, increasingly, box set successes. 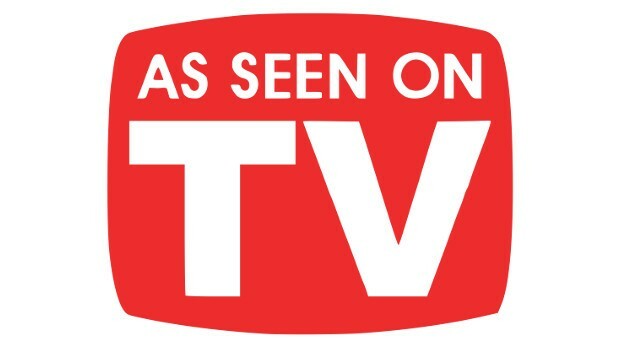 With so many television slots to choose from, we decided to list the very best for you! Bullseye was a classic weekend gameshow broadcast in the 80s and 90s and remains in the psyche of millions of Brits. So, it's no wonder that the Bullseye slot, a game that does a brilliant job of imitating the features and sounds of the gameshow, has become famous in online casinos. Developed by Microgaming, the Bullseye slot contains five reels and 243 ways to win, a 30-spin bonus feature and the Bully Prize Board bonus with the chance to win cash prizes. With a times-400 jackpot, retro graphics and authentic voiceovers from Jim Bowen, it pays homage in style. Deal or No Deal became a sensation in 2005 when Noel Edmonds took to TV screens every afternoon. The Deal or No Deal slot brought the concept of 'beating the banker' to laptops and PCs and has become almost as famous, thanks to its developer, IGT, creating a realistic gamescape. It features a standard five reels and 20 paylines but its three bonus features are where the game mimics the TV show best. During the Deal or No Deal slot's bonuses, you get the chance to choose from ten dealer boxes, receive unlimited free spins until the banker symbol lands on reel three, or access the authentic 26-box Deal or No Deal game. Hosted by Chris Tarrant, Who Wants to be a Millionaire? gained so much success on television that it inspired the Oscar-winning film, Slumdog Millionaire. It's become a hit in online casinos, too, with the launch of the Who Wants to be a Millionaire? slot, from Ash Gaming. Set over five reels and 20 paylines, it features the look of the original show's contestant panel, with symbols such as the Countdown Timer, Winning Cheques, Question Screens and Ask the Audience wilds. If you love the TV show, then you're on to a winner with the slot's bonus features – Lifeline Bonus, Player’s Choice and Jackpot Ladder with 15 steps to the jackpot. Ash Gaming is becoming the master of taking TV shows and turning them into smash-hit slots – this time with the Britain's Got Talent slot. It does a great job of keeping things 'cheesy' over five reels and 20 paylines, thanks to bright colours, in-your-face graphics and authentic music, all showing off the talent. The star of the show is the bonus feature that lets you select an act from real contestants (such as Susan Boyle and Double Take) and face the judges for the chance of a bonus pay-out. With free spins, frozen wilds and up to times-1,500 your bet for five singer symbols on the reels, Britain's definitely got talent. Box sets have given us hours of amazing TV to settle down in front of – and now they’re on our slot screens, too. Few shows have drawn such a following as Game of Thrones – and its fans will be just as awestruck by the classy Game of Thrones slot from Microgaming. With the option to select 15 or 243 paylines, HBO's TV hit comes to life with a Free Spin Bonus game where you can select from four houses (Baratheon, Stark, Lannister and Targaryen) with bespoke rewards. Graphically rich and with an authentic backing tune, the Game of Thrones slot is now slashing its way to fame in online casinos. Tony Soprano once remarked, “They say every day’s a gift, but why does it have to be a pair of socks?” Thankfully, fans of the show can indulge in something the TV mobster would be more enthusiastic about – The Sopranos slot from Playtech. The game is loaded with multiple features across five reels and 25 paylines, which can be played with spins up to £1,250. The action is non-stop with Tony, Paulie, Johnny, Christopher, Bobby and Artie all showing up. Bonus features include the Crime Family Free Games, which begin with the 25-free spin Soldier Game and can be unlocked to play the Capo, Boss and Family games. The good news for fans of TV slot games is that we're watching more shows than ever, on a global scale. And the more big hits that are created for television, the more we'll get to play as slots.